Larger sizes available for protecting multiple assets. 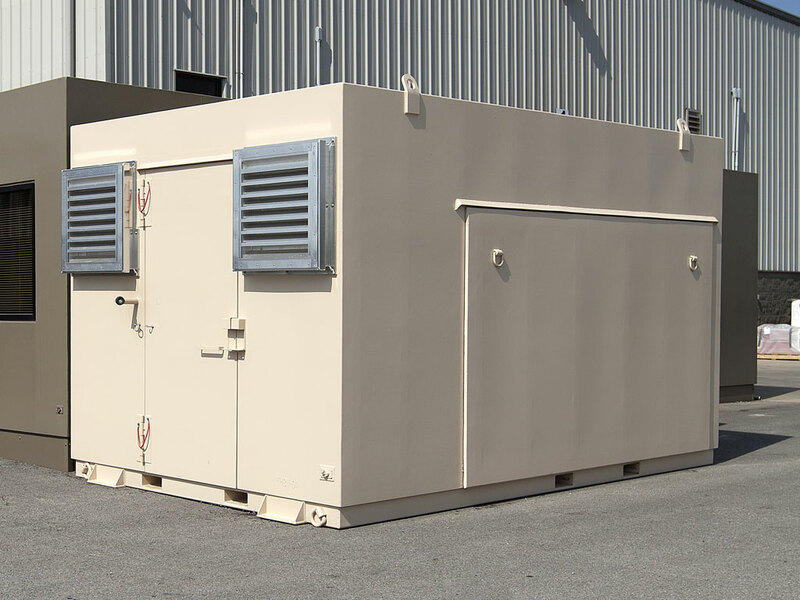 Armag’s shielded generator shelters are designed to protect power generators from the harmful effects of EMP, HEMP, Intentional Electro-magnetic Interference (IEMI), or a Geomagnetic Event. 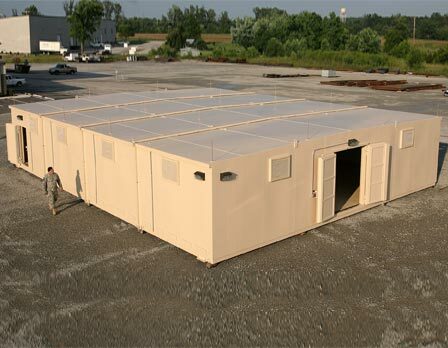 The heavy duty, continuous welded shell provides radio frequency protection and durability superior to shelters manufactured from shipping containers. 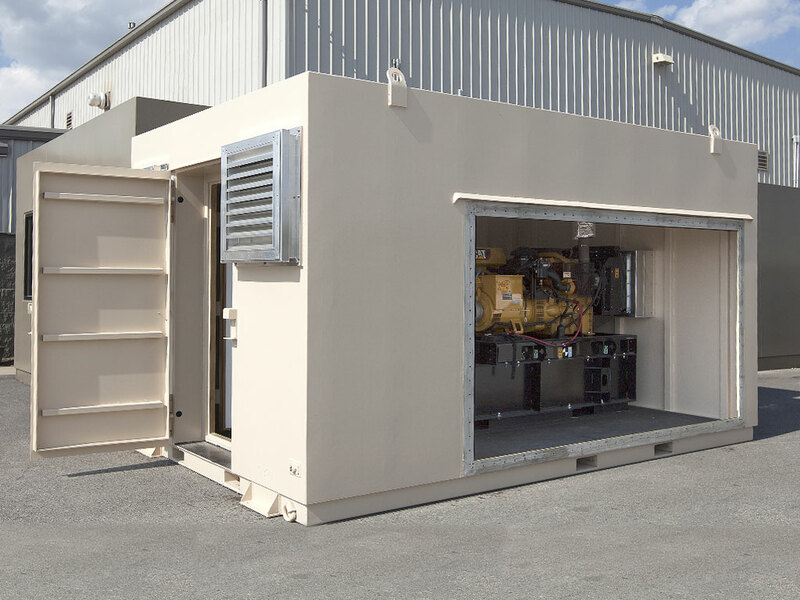 Tested in 2014 by a certified U.S. Military testing facility, Armag’s shielded generator shelter was found to provide an extra 66 dB of shielding. This exceeds the standard shielding required to be considered EMP shielded. Our shielded generator shelters are pre-engineered and meet US Mil STD 188-125-1 and 2. Their rugged construction is proven to last for decades while being extremely low maintenance. The modular, scalable design allows almost unlimited custom sizes, ideal for protecting multiple electrical assets. 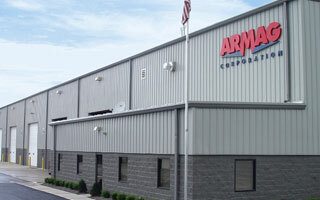 Armag’s modular buildings are in use on every continent and are designed to perform in the harshest environments. Blast and bullet resistant generator shelters are available upon request. Removable RF shielded side panel for easy maintenance access. Certified point of entry accessories and power line/signal line filters. Standard sized units house up to 300kv generators. 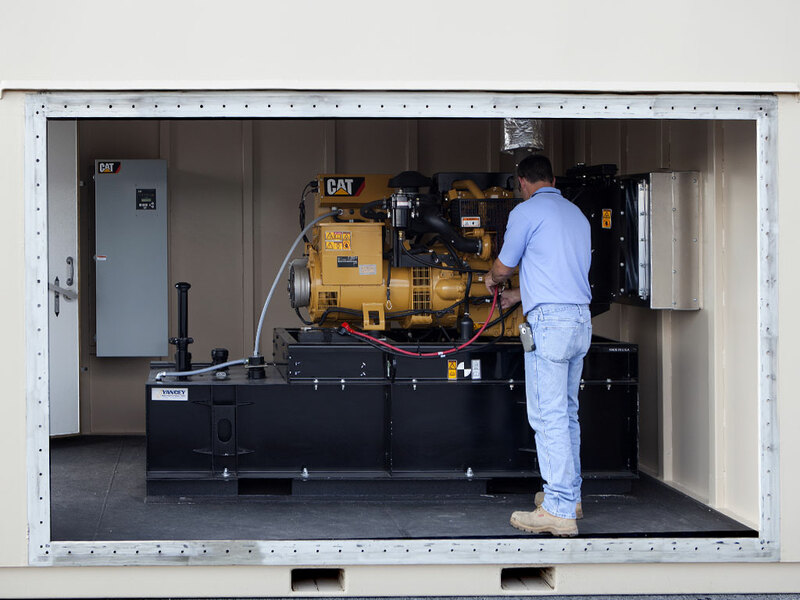 Custom sizes available for multiple or larger generators. Operational within hours of delivery.